Our Modest AMD Gaming Build is built around the Ryzen 5 2600. Using the stock cooler you should be able to achieve moderate overclocks on this unlocked processor. We've paired the R5 2600 with a parametric list of mATX B450 motherboards that supports up to 64GB of DDR4 memory, multiple SATA6 devices, and front panel USB3.0. For this build we opted to go with 16GB of DDR4 memory. The parametric filter finds the best price on 16GB kits of memory that are within AMD’s recommended specifications. We've limited it to a range from DDR4-3000 to DDR4-3400 as Ryzen CPUs scale well with higher frequency memory. At the current time, using memory rated over 3400mhz is not advised without doing extra research as DIMM support can be hit or miss. AMD is working on releasing additional BIOS updates to add better compatibility for higher frequency memory. We're also using a parametric filter that will actively select the best-priced SSD of at least 500GB capacity. Additionally, we're including a 2TB mechanical hard drive in a parametric filter for things like storing media and extra games. Everyone's storage needs differ, so feel free to change the capacity to your usage. At this price point we suggest using the AMD RX 580 8GB edition. We specifically filter for the 8GB model as the 4GB may run into issues in more VRAM-heavy games. The performance across most games will be similar to the Nvidia GTX 1060. We've created a parametric filter to show you the lowest priced, full sized AMD RX 580 8GB which will be powerful enough for most AAA games at 1080p. All of the components are housed in the Cooler Master MasterBox Q300L MicroATX mini tower. This case is an affordable option that has a large side panel window, front panel USB3.0, room for full size graphics cards, and cutouts in the motherboard tray for easy cable routing. For our power supply, we're using a parametric selection of well-reviewed fully and semi-modular units, all of which will provide more than enough power for this system. Bitwit has an excellent in depth video (55min) of him step by step making a pc. Linus Tech Tips and JayzTwoCents also have some, tho BitWit seems more in-depth. Just a little bit of advice. Lol there's an X299 rig on display at my local Fry's Electronics that has only 16GB of RAM running in single channel mode. I second the suggestion of Linus Tech Tips as an overall channel if you're looking to get educated on what kinds of components you'll need/want/what's wasteful, what's crucial, etc. Specifically, his 'build wars' series where they'll have 2 teams with a set budget in an unfamiliar place (limited to, for example $500 or less in Los Angeles to build the best gaming rig that they can for that price) are a great way to learn some tips on where to look for great deals as well as how to think outside the box for approaching all of this. Anyway, I wouldn't recommend them for the most 'in depth', step-by-step kind of build guides, but IMO so much of the stuff when it comes to PC building at this point, right about to be 2019, is so simple and easy that it's hard to mess it up. So, if you're super concerned, BitWit is a good suggestion, and you can always go with a step-by-step written tutorial combined with videos you can search for on YouTube, that deal specifically with the parts you're using yourself. That is the best advice anyone can give. Paul's Hardware and Joey Delgado. I concur with Joey Delgado, he takes you step by step and even shows you how to get windows 10 downloaded and other software including BIOS ect…. Bitwit also gets my approval. Look up Carey Holzman on YouTube. Tech Deals on YouTube has a few, along with in depth explanations on the components. The Verge had a great video ;) Just kidding. I have watched build guides from LTT Jayztwocents BitWit and more I think. XD Also before I knew as much as I know now I watched the verge pc build thankfully my first pc I built still turned out good thanks to the combined forces of the other videos I watched. Well it WAS a great video, with great production values. Now if it was a "here is how not to build a PC" it would have been a lot better, as it is it's turned into an internet joke and totally ruined whatever good reputation the Verge and Vox media might have had. I learnt everything by binge watching someone called CareyHolzman on YouTube. Dude literally just builds PCs of anything from £400 - £5000 for his customers and his videos have been amazing guides. His part combinations are very nice too if they're similar to you budget. check out Paul's Hardware and Joey Delgado on Youtube. I'm new as well, having a blast learning all this cool stuff. Have fun! I disagree. It's excellent if you want to see all the things you can do wrong. I think the only thing he got right was the choice of components and suggesting that you need a table. I've just started the video but I think this one from the channel (ExplainingComputers) appears to be building a similar PC. Tremendous overkill for a singel user build is to watch Louis Rossman assemble his Ryzen 2950x system. Hi, I'm new here and I'm looking for something that's cheap and will handle VR. Would this build be suitable for VR? I was exactly going to point this out, this is a nice VR setup. What makes a build a nice VR build? I might add that the only advantage I see going 2xxx gen with Nvidia is that they are VirtualLink compatible for the up and coming VR headsets. It's going to be able to run vr, but not at max settings. Any concern with the case only having one fan for overheating? Would it be recommended to purchase 1-2 more fans for intake? That case has a lot of extra exhaust holes so it should be OK.
not with an rx 580 it won't. those things are space heaters. I just have a few gripes with this build. Firstly, let's start with the CPU. The Ryzen 7 1700 while a generation older, boasts 8-cores 16-threads for around $20-$30 more than the Ryzen 5 2600 . Second, the storage, currently the Samsung 860 Evo is $72.99 for the 500GB version. Samsung's SSDs have dropped in price significantly over the years and without any hesitation I'd pick up the 860 Evo over Munchkin. Not only does it boast better performance but it includes a 5-year warranty compared to Munchkin's 3-year warranty for only a difference of $9. Remember the list is using a parametric filter for cheapest part within the filter. can u send me the links to the Ryzen 7 1700 and the Samsung 860 Evo? I'm new to PC gaming and this is the guide I'm planning to build with some upgrades. Hypothetically, between equally priced GTX 1060 6GB and Radeon RX 580 8GB cards, which would you pick for this build? (seems both are in the parametric filter, though the GTX will never match because of VRAM minimum). Both cards are better in different games but I would get the 580 because of Freesync support. freesync monitors are soooooo muuuucchhh cheaper! Also, with the RX 580, you get 2 of 3 games free (The Division 2, Devil May Cry 5, or Resident Evil 2). With the 1060, I believe they're running a promotion where you get Monster Hunter: World for free. AMDrewards.com is giving me issues. Like not loading the page to where I can redeem my amd gift, any comments, or possible solutions would be greatly appreciated. Please and thank you. I've heard this from numerous people within the past 2 days. Try reaching out to AMD support on social media, make sure to do it publicly on twitter and elsewhere, that seems to be the best way to get a hold of these companies that I've found in the last few years. Freesync for this? Just curious, seems like a strong 1080p 60fps machine but I could be wrong. this is more of a 1080p 100fps machine. Is that on the more good or bad side? Would it be able to handle Overwatch and related games nicely and smoothly? Yes, these parts would probably be able to handle most games at 1080p at a good framerate (80+ fps). 100fps is very good, usually you want 60fps or more for a good experience (the higher the fps the better). Well, even if it isn’t worth the freesync, the 580 is faster in some games and is cheaper. It is, unless you're trying to go higher than 60 fps or you're running 1440p. Bro, is that VRAM matter? Jup as explained in the startpost. Is the change from a gtx 1060 6gb to an Rx 580 8gb a significant difference? And if so is it for the better or the worse? There will not be much of a difference between the two. It's a sidegrade and not an upgrade. If you want an upgrade them go with a 1070, 590 or better. This is true, the 1070 is more powerful than the 590. The 590 is basically an overclocked 580. If you can afford a 1070, that would be better. However, you have to consider the cost of Gsync monitors vs Freesync monitors too. If on a budget, you can't go wrong with a 580 and a Freesync monitor. at the current price of the rx Vega 56, I would go with that before going rx 590 or GTX 1070. Much better bang for the $$. Check out some benchmark videos that compare. 580 is cheaper and better in some games (in some games 1060 is better), considered the best price/performance high end card. Both cards perform pretty much the same. There are some games like fortnite and overwatch where nvidia performs better, and I've found that GTAV really likes amd cards. Really you should factor in what games you are going to play into your graphics card decision and do some research and look at benchmarks. Personally I would save up some pennies and get yourself a used 1070ti or 1080 since those cards seem to be a sweet spot for 1080p 144hz gaming with no problem. I bought my 1070ti from a miner on ebay and it is working just fine for the little over a month that I have had it. Ok, everything is fine, except the miner part. Mining cards have to run full load 24/7 do be profitable. Running a card 24/7 at max load is not good on cooling and on the chip. Mining cards are a very risky business. I rather not buy mining cards. the rx 580 sits between a 1060 and a 1070, but amd cards lack the dedicated physics cores that nvidia has. my rx580 smashes everything in the catzilla benchmark except the pure physics test, where i drop from over 100fps to around 40. you cant have the nvidia proprietary PhysX enabled in the in-game graphics settings and it will slow during heavy physics scenes. AMD has superior texture mapping and faster memory bus, though... so it stays competitive. considering i bought my rx580 for half the cost of 1060s a couple months ago, amd wins there. 3% difference. They're the same thing. I have the AMD FX-4300 Quad-Core Processor and I would like to know if I upgrade my video card to the Asus - Radeon RX 580 8 GB Dual Video Card would I need to upgrade my processor as well? I can't say yes fast enough. Ryzen7 1700 is a beast. I have it. It should last you maybe 3yrs. If you are going to upgrade, go ahead and get an x-470 motherboard for future upgrades and power delivery. Currently running a 580 with a FX-8320 and it's performance is just not satisfactory anymore, I would definitely recommend an upgrade to a Ryzen CPU and chipset. The AMD Ryzen 5 2600 is sold out. What's the difference with the 2600x? The 2600X is slightly faster for an increase in cost. I think by 5%...they meant slight increase, as clearly stated. CPU heavily increases gaming performance thats like saying a core 2 duo can handle Shadow of the Tomb Raider with a 2080 ti. It can't there is a huge cpu bottleneck to the point where you bascally aren't getting any performance. That is not entirely true depending on the game. Besides, nobody said anything about FPS. The 2600x has a different cooler, slightly faster as well. As of Jan 2019, not worth the increased cost compared to performance. The 2600X is basically the best binning of the 2600 series. The 2600 are cheaper but will probably overclock well. The 2600X will probably not overclock well since it is already best in its class. So it breaks down to, do you want to overclock yourself or have AMD do it for you? That's the difference. On a side note, the 2600X is considered one of the best gaming AMD CPU right now because of its higher base/boost clock. Also, it doesn't have so many cores it gets in the way of a game running properly. It also still has only one NUMA core. There IS a difference. The Ryzen 5 2600x is more expensive and has a slightly faster clock speed. Hello! I have some rather simple questions, about your builds on the site. My son is 13 and wants nothing more then to build a computer, I have built towers in the past (eons ago) and was wondering how the step by step directions look. Are they rather simple to follow? Obviously we would help him but just didn't know if it looked like IKEA instructions..lol. As far as software goes, would the purchase of Windows be separate? Finally, if we purchase this model will he be able to upgrade easily (RAM, Video card etc.) in the future? Assembling a computer is not much more difficult than building Ikea furniture. Keep your work area clean, ground yourself, and attach the parts. It's fairly foolproof now, just don't force any parts, if you have it lined up right and in the correct position it will slide in. This site is good for verifying compatibility, use it as a checklist to cover your main components. Software (windows) is a separate purchase. It should be straightforward as well. This build will give you a good few years of upgrade potential as long as you're not trying to go bleeding edge. But that would be jumping to a new class of equipment. Key resellers are not permitted. Recommending, suggesting, advising, encouraging, hinting, or in any way implying these keys as a solution or option is not allowed on this site. I don't think so. You can add extra stuff (keyboards, mice etc.) down below. I’m wondering how future proof it is as well. Very. this is a huge amount of PC for $800. I've built 10 or so machines over the years but this site reduces a lot of the research needed. This build is very similar to a build my stepson and I put together for my daughter. A couple of points to note: - Paying 5 lots of freight to 5 different suppliers can add a lot of extra cost. Also, some vendors charge outrageously for freight. It might pay to look around to optimise the freight costs; perhaps compare 2-3 vendors as a rule. - Prices change very quickly so check regularly between build planning and buying. - Look for specials. My recent build took advantage of great deals on a Cryorig Cooler and an RX 580 card, which saved $100's. To add onto your questions, search on youtube on how to build a gaming pc and pick a video you like the most lol, there's plenty of them. Dont even worry about upgrading RAM 16gb is overkill, im pretty sure that mobo has 4 slots anyway so yes its upgradable. yeah unfortunately its not worth even 60 pounds, microsoft is so greedy because they hold a monopoly so they don't care about the customer and freely run their spyware, adware and what not just to get more profit. Use of Windows must be done with a legitimate product key. You are authorized to use this software only if you are properly licensed and the software has been properly activated with a genuine product key or by other authorized method. Any downside to going with micro-ATX vs. full size? How quiet can I expect this build to be? If quietness is a concern for me, is there anything drastic I would need to change, or would it be easy enough to replace fans with water cooling, for example? No (unless you need a bigger motherboard with more expansion slots). I don't care that much about silence so you might not want my advice but it should be pretty quiet. Sound-blocking headphones will be helpful here as fan noise is consistent so it's easy to filter out. I agree with Tsar. Although microATX can cost a little more sometimes. Air cooling nowadays is plenty quiet as long as you have a half-decent CPU cooler, good GPU cooling setup, a decent airy case, and don't have any annoying fans. This looks good to me, and I do care a lot about silence. It's way easier than it used to be. Do i need a pc cooler for this build? if I do which one would be good? No need for a cooler. The included cooler is more than enough, and even for some mild overclocking. I was looking at this build but I ran a calc on thebottlenecker.com and it came up with a 30% bottleneck at the GPU. They were recommending a Ryzen 3 2200G with the RX580. Should I be concerned about a bottleneck? Interesting site. I'll give that a try for my current builds and see if it gives me the answer I expect. Anyway, bottlenecking is dependent on the type of workload just as much as the actual hardware CPU/GPU balance. If you're talking gaming, then it's dependent on the specific game. For a 30% bottleneck on the GPU, I imagine this is somewhat due to the current huge gap in performance between the RX 580/GTX 1060 and the next higher priced choice (excluding RX 590). And this Ryzen 5 2600 would have a large advantage in many CPU-bound loads over the Ryzen 3 2200G. Ryzen 3 2200G with RX 580 makes sense for saving money on a system used mostly for gaming. It's a good CPU. But personally I would also go with the Ryzen 5 2600. You can easily upgrade the GPU in the future by swapping in a new one, but upgrading the CPU is usually a whole new system for me because years down the road, often your money doesn't get you much CPU improvement on the same socket. Though it is possible this is changing in recent years since supposedly AMD plans for their current socket to be around for a while and performance gains in CPU generations are not as big as they used to be. I noticed under the bottleneck results it says "This result is based on average CPU and GPU usage from different programs and games. It changes based on operating system, background processes activity and targeted applications. This result is not universal and changes based on differences in hardware and software enviroments. Please do not use this calculator primary as decision maker than as helping tool to understand performance correlations between different components." So I wonder what is included. It would be an awesome feature addition if they would allow you to select the workload, maybe generic gaming, and specific games, video encoding, etc., so you could see the bottleneck result for the different things you plan to use it for. Thanks! Good point on future proofing the CPU. That website's dumb. Bottlenecks depend on many factors, most of all the game you're playing. That site tries to do the ol' "one size fits all" trick but it doesn't work. Also, wtf does "30%" even mean in this context? 30% performance lost that the GPU could have with a better CPU? No, actually it's saying the the 580 will bottleneck the 2600, and that the 2600 could keep up with a card that's 30% more powerful than the 580. Sorry if this sounds stupid, but how were you able to check this CPU/GPU on their calc when neither of these 2 items are in the list? I just went over there to check out my components for the fun of it and they weren't listed, so I decided to check these 2 and can't find them in the list, either. Do I need to buy fans? Would this be powerful enough to run games like GTA V, Witcher 3, and Modded Skyrim SE with a decent framerate? Sorry for the generic question but I'm new to this? Also what kind of monitor would I need and could it sync to a TV if I wanted to? Couple of questions about this build. Would an Asus full size mb, say RoG STRIX B450-F Gaming be worth the extra $$$? (near on double the cost). Or is that just paying for expensive blinken lights that I will never see? Second, would an M.2 SSD be worth the extra $$$? Nah.. Just make sure the Motherboard has all the settings you want and get whatever you feel has great value. The asus one has for sure more features but you need to balance Features and price. Just get the one that has the feature you want and is in your price range. For M.2: there are two types of SSDS: Regular Sata SSDs in the m.2 form factor and super fast NVME SSDs in the M.2 form factor. For regular gaming and everyday use NVME is overkill and not needed (and expensive). A sata one will be just fine. What kind of sound is it making? Are these beep sounds that are coming from the motherboard? Are you tracking your temperatures whilst gaming /using the computer. It might have had problems with overheating and that can cause the system to shut down. The GPU might have blown out, do you have any other way to test whether the computer itself is working fine? If the computer itself does POST, then it might be the GPU. If you don't have a proper way to test this and the GPU light is not working, then I suggest contacting the manufacturer or the place where you bought it from and ask them for a replacement. hey did your problem get resolved? Create a bootable USB that you can just plug in and boot from it by changing the BIOS settings. You don't mention the resolution of the monitor. but I highly recommend searching for a Freesync one. Assuming you mean 144hz at 1440p or below, this rig will be more than adequate I reckon. You may not hit 144 frames at all times at 1440p but I can't see it ducking below 60 fps. For $10 more dollars you can get a 500gb ssd from a more reputable brand. Same with the HDD. And if you drop the Gold certification to Bronze tier you easily save $20-$30 to make up for it. I love this build and it seems like a great budget option the only thing I would change would be the cpu to a ryzen 7 1700 if you are interested in streaming your games too, other than that I am considering buying all of these parts and building it as my first pc. Wouldn't the Ryzen 7 1700X perform better? The 2600 has better single core performance and better all core boost. Few games can take advantage of the extra 2 cores. The 1060 wasn't intentionally left in there as an option and has been removed. Team Group (RAM) is a great budget brand sort of like AMD with their budget CPU's and GPU's, Gigabyte is a really widely known company for their motherboards, but their storage should be good. Also, do you know if the Team - Vulcan ram (TLGD416G3000HC16CDC01) actually works with the Asrock B450M motherboard, according to their website it's not recommended. they're not a budget brand, they're just like any other RAM brand. Exactly and they have worse performance. There's this general misconception that some brands of RAM are inherently better than other brands of RAM at the same speed and timings. That is not true. Massive improvement over the other build guides , but I just want to point out something: there's only a few games currently that uses more than 4GB of VRAM, and if it's safe to assume that games will use more VRAM in the future, it's also safe to assume that games will become more demanding in the future. All you have to do is lower the textures, and textures on high won't make a big difference to a game that will run on a lower graphical quality anyway (due to them becoming more demanding). That's true, but it will still probably be pretty usable when games are using 5 or 6 GB of VRAM, where as the 4GB versions won't. im guessing a gtx 1060 6gb is com patible with these parts? probably just gonna get a used 1060. I've been throwing around the idea of a setup for a bit of gaming but primarily video editing (AE / PP) and mostly 1080p footage - is anyone here editing on the Radeon cards? I always see people say how the Nvidia cards are better supported, but is it night and day or fairly minor differences? Trying to keep the budget fairly tight, so any recommendations are very appreciated! Yeah, GPU does not matter for video editing as long as you aren't streaming, NVIDIA is screwing everyone over though, their prices are insane compared to AMD for about the same performance, for example, 1060 6GB vs the RX 580, the 580 is cheaper with slightly less performance. The 1060 6gb, on the other hand, is more expensive for about a 3-5% gain on the 580.
das is what i thought. It'd be cheaper but in reality 2600 is the best bang for your buck right now, and if you get a motherboard that is b350 from asus they have updated their bios to be 2000 series ready with ryzen, so I recommend like an asus prime b350 with a 2600. At some point for me at least having to upgrade the motherboard rather than just going for pcmate or a tomahawk jacks up the price too much and isn't worth it. Huh? If you are asking if you must have the SSD, no. You could run it from the 2TB hard drive but I would advise against that as it would mean slower load time and (more of a personal issue) can fail easier and sooner (depending on use case). And if you have any incentive to learn, you could always try Linux which is completely free. My recommendation for a distro is Lubuntu. If not, I would go for windows and run Linux in a virtual machine to try it out and see how it feels so if you want it in the future that will be an option. BE WARNED THAT IT IS A HUGE LEARNING CURVE!!! Its not TOO hard to get by some initial steps but again, that depends on how experienced you are with software. 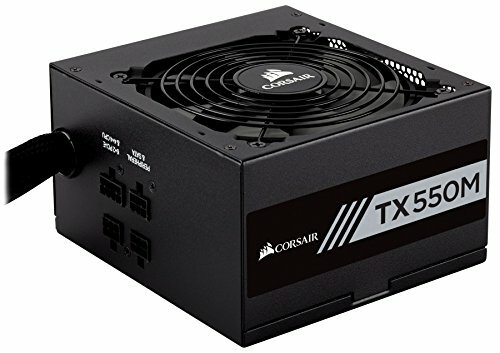 Would this one work versus the PSU listed? I'm only concerned with the lesser efficiency of the bronze bringing up temp, but for $30 it's hard to beat. I'm actually glad I went with the Semi-Modular in hindsight. It reduced the stress for wondering which cables I needed, and I just added a few for my SSD and GPU. I would recommend for a first time builder. I'm not seeing a cooler? Is there something I'm missing in the build? I'm trying to educate myself to build my first gaming rig and I thought a cooling unit was one of the essential parts? The R5 2600 comes with a stock cooler. This is a nice clean build! Would this be VR capable? Check against your preferred headset but it should be overspecced for most of them. You'd also need a monitor and peripherals like mouse/keyboard if you don't have those. Otherwise this is a complete build. Do I need an ethernet cable for this? If you want Internet, then yes. If you want to use WiFi instead then you either need to change the motherboard to a motherboard with onboard WiFi or get a network card that has WiFi. I just completed this build (my first!) and I'm happy with the results... I just need good WiFi and ethernet is not an option. Any suggestions for good/decent WiFi adapters? Do you know which wireless standards are available in your target wireless network? N, AC, etc? Usually more antennas the better. By the way, I used wifi with my desktop for a long time - an internal 3-antenna dual-band N card from TP-Link. It was ok, but wired is just better, faster, less problems. I had to move my wifi router around to find the best spot so my desktop got decent connection and laptops/phones around the house could still connect too. But you gotta do what you gotta do. The router I'm using is an R7000 Nighthawk, but it's downstairs. I measured the distance from the router to my room if I were to run cables under the carpet and it came out to nearly 100ft. I do have a cable for it, but the head of the house absolutely HATES seeing cables run around anywhere, she'll flip if I so much as move the router, but I'm the one who primarily runs it/fixes it/etc so I can fiddle with it's settings if I want. The WiFi reception in my room is just simply poor for my PC, I have a crappy USB adapter my little brother loaned me so I can help set up my pc and test it. I just want a good WiFi setup so I can at least game on it from the other end of the house, at least until I can find my own place. So ethernet is of no help to me ATM, and any minor hiccups produced from using WiFi in gaming will be acceptable. 2.4GHz (b/g/n) 5GHz (a/n/ac) It seems to also have "smart connect" options, which seems to let the router decide the best between the two bands. I believe it's dual band, if that makes a difference. There is no doubt that Cat5e cabling is the best option for connecting in the home for gaming and video streaming. However, unless you're a licensed cabler who can install network cabling safely (there are power cables in them walls too! ), it's not an option (unless you can run under carpet etc.) Some solutions: 1) Stick to 2.4GHz as it is better at penetrating walls and stuff, (but this frequency is more crowded). 2) Buy a really good WiFi card with antennas, then use extension cables on the antennas to get them out of the clutter at the back of the PC. 3) Try a WiFi Range Extender. This will essentially re-transmit the router's existing WiFi SSIDs from a point closer to your pc. Choose a dual band one. 4) Try powerline network gear. You buy a pair of modules that plug into power points and they talk to each other over the ac power cabling. Plug one into a powerpoint near the router and the other near your pc. Then connect with Cat5e patch leads. Should be plug and play. The best option depends on your individual circumstances; no magic bullet, unfortunately. One last thing, the safety issue with doing your own wall/ceiling cabling is real. Life and death stuff. Don't do it without the training and qualifications. Ok, good to know and understood. So you can have a AC wifi which should be the fastest. But you never know. 2.4GHz is a lower frequency/longer wavelength so it can go through walls better. Would this be able to run Overwatch? Definitely. It can run most AAA games and is VR ready. Just curious to the main difference/advantage between mini and full size ATX? Generally speaking the biggest difference is number of slots and ports. ATX will simply have more of them than ITX - USB, PCI/e, SATA, and DIMM slots. Manirelli is quite right. Also, bigger boards allow for more comprehensive and stronger Voltage Regulation components (voltage regulation modules or VRMs) and accompanying heatsinks to sit on those, to disperse the heat they have to handle, therefore giving you greater headroom on unlocked chipsets (unrestricted hardware) to increase the performance of your CPU. With matx boards you will sometimes find that the thermal solution is a little weak, meaning if you put a chip with considerable overclocking potential into one, it may struggle to reach higher frequencies because it can’t take the extra heat from the voltage you need to put through it. MSI appear to have an advantage currently because of their matx board thermal solutions, which buildzoid has highlighted in YouTube videos on the “Gamers Nexus” channel. Is it possible to get a cheaper video card? That will still fit into the case. And if yes then which one? According to Bottleneck calculator, the 580 is too slow for this CPU already. Wouldn't buying a cheaper GPU make that issue worse? According to Bottleneck calculator, "This result is based on average CPU and GPU usage from different programs and games. It changes based on operating system, background processes activity and targeted applications. This result is not universal and changes based on differences in hardware and software enviroments. Please do not use this calculator primary as decision maker than as helping tool to understand performance correlations between different components." Is drevo a trustworthy company? there ssd is much cheaper than any other mainstream one. Try to look on "Trustpilot"
Going to be my first PC build, plan to build it with M2 2280 and AMD RX 580 instead...only planning to play battlefield 4 & 5 on this..is Intel Ethernet faster than the one on this? I just need my PC to be really good with internet speed? Lastly, once the build is complete what BIOS settings do I have to update on the first boot? It will be about 10 years since I completed a build, I'm doing this one for my son for the holiday. He insists he needs an Intel, as he believes it's needed for some games (or maybe it's a status thing among friends). Prices on the Intel i5 8400/8500 are spiking a little, and availability seems limited. AMD is at a more attractive price point. Will I be giving up anything going with the AMD? AMD's performance at this price point is hard to beat. I would say to check what CPUs and GPUs his friends have. Then you can compare some benchmarks with what your setup would be. Then run a benchmark on the system once it is built (probably 3DMark). Your son can mention his 3DMark score when he shows off his new system. His friends will then probably run it on theirs... and bragging rights, LOL. Intel snobbery easily defeated. This is very similar to the build I just bought. Got MSI Armour OC RX580 8GB w/ R5 2600, 16GB Corsair Vengeance 3200, MSI B450 Pro-VDH, Samsung EVO 970, and EVGA 550W B3. Adding a 1 or 2 TB HDD later. Yes. FYI, for recording/streaming/editing, more CPU cores the better. So choosing AMD here over Intel is a good choice. And you'd also have the option of the 8-core over this 6-core for more money. But this will be great. As for easy building, just do a minimal amount of research on building computers. It doesn't take much to get into. To start, if you're using an SSD for the operating system and 2TB hard drive for game storage, you could go with a smaller SSD. 120 GB would be fine and save you about $30. In terms of the operating system, if you look around you can find more creative ways (hint, hint) to get this. Also, I don't think the network adapter is necessary in your case, as the motherboard you have chosen should be fine, save yourself $30. I would say, generally, spend the money on and have quality core components (CPU, motherboard, memory, storage, video card, and power supply) but go with the cheaper more cost-effective options for all other accessories. Looking at this build, you should be able to cut a few hundred dollars this way. Would the mini tower allow for upgrades in the future? Would I need a wifi card if I don't want to use ethernet? If so, where would I install one? Yes, you would need to add a wifi card because the motherboard does not have one. The wifi card would plug into the PCI-Express x1 slot (short black slot below where you plug in your graphics card). May I suggest the PCE-AC55BT. It uses 802.11ac (fastest commercial wireless standard) and adds bluetooth capability to your computer for bluetooth keyboards or bluetooth earbuds. are there any worth-while graphics/video cards that are 130 or under and also for them is 1030-1050 good? Does this support wireless wifi connection? is there a spare pci-e slot for wifi? No need. The motherboard comes with both. Apparently the Ryzen 5 2600 won't / can't utilise integrated motherboard graphics, so you'd need to install the OS and graphics card drivers onto your hard drive using a different computer (otherwise you'll just get no monitor signal). You should be able to simply plug the graphics card in, and it will work without any issues. Then, update your graphical driver after you've installed the OS. The chips on all mainstream memory is made by one of these three manufacturers: SK Hynix, Micron and Samsung. This means that there isn't any "bad" memory per say, as companies like Corsair and G.Skill simply put their own heatsink on top of the memory. So it should be just fine. Hi i'm new to all this and I do not know what to do? Is this pc good? Can it run Fortnite at least as 60fps high settings? Should I switch to GTX GPU? What monitors do I get? And how do I install Windows. I need an answer very quickly. Thank you. and does it have WI-FI built in? No, not by default. You can try finding a motherboard with a built in WiFi adapter, but otherwise you can purchase one from the Wireless Networking section. Yes, it can run Fortnite at 60 fps. No, you don't have to switch. Any monitor, but you should stick to 21-24" 1080p 60/144 hz monitors. You can install Windows by using a USB stick. Follow this guide. Make sure you have a proper Windows key, and not one purchased from a key reseller. I am completely new to this whole gaming computer world. My 10 year old son wants a gaming computer for Christmas and this build looks like it would a great computer for his needs. One question I have is he really wants one that has colored lights inside the computer casing. Does this one? This does not have much RGB(colored lights) in the system, but if you spend an extra 10 - 20 dollars you can put some in. Downgrade to 8gb ram and 250 ssd, thats all I need, then upgrade to a more beefier gpu/cpu. Is this due to the lower rated 550watt PSU???? doesn`t seem to do it on any other game so far....and only built it 3 days ago all fresh out of the box. If you aren't overvolting you should have plenty of headroom on a quality 550w PSU like the ones we have in this list. i play fortnite on xbox and i want a pc i can build and just blows away xbox fortnite for under 800 dollars. like i want the best long term great performing i can get. This one beat even the Xbox one a long run more than double the performance if not more just for you know. This one can be used for up to 5-10 years without upgrade. Hey guys I basically got this build except using 2 by 8 gbs of corsair vengeance 3200 mhz ram with a Gigabyte b450m ds3h motherboard. The fans run and light up but the monitor light just flashes and nothing happens. Any help? Hi, have never built a PC before and have bought these parts for my 14-year old son's xmas present. As he's probably going to want to build it straight away I need to make sure he has everything he needs. Is there anything else I need to buy for him to complete the build, e.g. cables or shelves for the case or anything like that? Thanks. Ok great, got those anyway so should be all set. Have also ordered a toolkit which apparently comes with spare screws so that might be handy (sounds as though the screw size must be standard which makes sense). Does this come with the hard drive cables as well? Awesome build! But why not add an AIO cooler for CPU? I have seen them go for $120 I think it will give you better performance overall for just a small increase. Still, though this is an awesome 1080p, 1440p, and even 4K (if you lower some settings) build for gaming. The rough budget for the modest guides is 750-800. A 120 dollar cooler has no place in that budget. Would this run csgo well? A gtx 1050 2gb and a ryzen 3 would run csgo well. csgo is extremely easy to run and this machine would play it very smoothly. Thanks trying to get a decent gaming pc that will run ark smooth and other sandbox games like it. Is there more of an advantage when you have the 8gb VRAM over the 4? Yes, easily. I have a similar build and I have yet to notice any issues at 1080p and max settings. I would take the 2600 over the 2400G- if you're gaming you're likely using a dedicated GPU so the internal graphics are a waste. If you're gaming without a graphics card (which I don't recommend) then the 2400G is necessary. Hi I have never built a PC before, but how well would this run WoW? I am tired of using a 6 year old laptop on low settings with 20 FPS. https://pcpartpicker.com/list/bQPbD2 i’m trying to build my first gaming pc and i’m not the most intelligent on gaming pcs and all the brands/prices but this is what i’ve got so far with my whole setup. if you could help guide me on changing parts or something like that, that would help out a lot. thxs! Will this run fortnite and overwatch at 60fps or higher? My friend is new to pc's and wants to get one would this be good for him? Great suggested build but I would utilize the M.2 for SSD instead of 2.5" SATA. 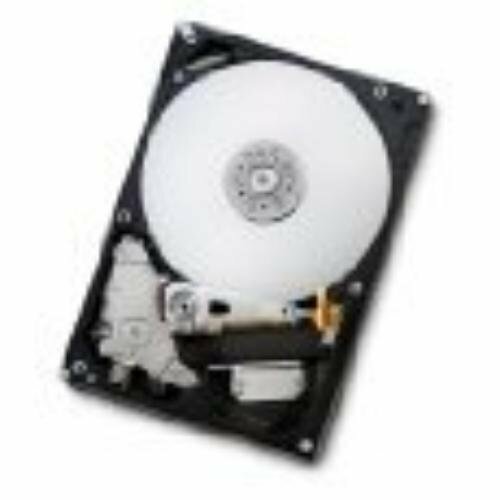 Even a Western Digital black drive, 500 GB is just a few dollars more and gives a max sequential read up to 3400 MBps & max sequential write up to 2500 MBps, compare this to the 400/500 MBps for the suggested 2.5" SSD, this would significantly increase performance just for $40 dollars more. Did this build guide just have its video card changed? Probably, the parametric filters automatically update to the best priced part based on the listed specs. Yeah sure makes sense, I’m struggling to figure out how you decide on a gpu with so many options? Could you swap this video card with the MSI Gaming Radeon RX 570 256-bit 8GB GDRR5 DirectX 12 VR Ready CFX Graphcis Card (RX 570 Armor 8G OC)? Hey, i dont have accese to ethernet so i need to get a wifi card. What cards are compatible and good for this build? You can customize the build by adding in the Wireless Adapter on your own, you can choose what is best according to your budget! However, I do recommend these (Gigabyte GC-WB867D-I) or (TP-Link TL-WN881ND). Both of these are compatible! Two Questions: Is there any point of reference you could make as for what games would run smoothily on this Build? I've seen a couple people say things like "PUBG will run at 60fps at 1080p with this build and other games of similar nature"
Secondly? Does anyone know of a Discord for chatting about PC building? I'm a scrub and could learn a lot from constant information being shared. Thanks a lot. Can this overclock? How efficient is this pc? You can but not recommended, because the motherboard does not support over clocking. I'm looking for my first gaming pc and this website was recommended, I was sent the link to this pc and was wondering if this could run CS: GO and Fortnite with decent frames. Thanks, for your help. Also, I want the total to be about $700 in total including the monitor. Also, I don't have an ethernet cable available. Hi Folks - I'm starting to buy these parts to make my first PC build! How would I go about making this wireless? Appreciate any help! Got everything here minus the HDD. It's a Christmas gift for my litter brother. Thing is badder than any computer I've had. A smooth >=120fps @ max on Dota 2. CS:S stress tests on max average out at 470fps. Not complaining! Stop lying, i have the same build and i am definently not putting out 470 fps on csgo, more like 270, and the only thing putting out 470 on csgo is a 1080 Ti and up. Then I must be doing something wrong.. I barely get 250fps with my 1080 Ti..
What is a good alternative to the "G.Skill - Aegis 16 GB (2 x 8 GB) DDR4-3000 Memory" that will work well with everything else else in this guide? T-Force 8gb ddr4 3000Mhz or Patriot 8gb ddr4 2666Mhz, thats if you are trying to save an extra 30$. 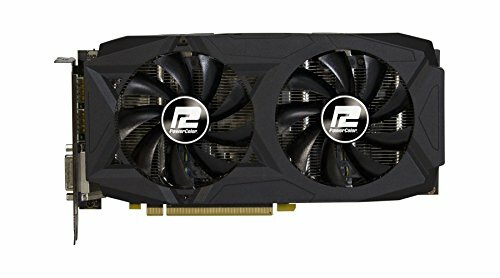 Can this build run Destiny 2 with decent settings at 60 FPS? How would downgrading to a Ryzen 3 2200 to save a few bucks affect this build? Yeah I can get on with this. I would just change the psu and tower to my preference and call it a day. Make sure you don't cheap out on the PSU. Get a high quality unit with just the right amount of watts, in this case 550-650. Forgot to type PSU. I got a list of preferred ones. No, you can cheap it out because this build only puts out 280-310 watts so a 400 watt power supply would do you just fine. Depends what specs are in the intel build. does have this wireless internet connection? Anyone have any ideas how this will run WoW? I am looking for a system to build my father. We play a lot of WoW together and he is used to my 7700k and gtx1080. I know this wont perform as well as that but any ideas as far as FPS and refresh hz for 1080p gaming? All he plays is WoW so that's the only game i'm concerned with. My goal is to shoot for 1080p 100fps at medium-high settings. Do you have to add a wired or wireless network adapter? Just wondering because I have never build a PC. The motherboard has onboard ethernet, but to use wireless you would need to add a wireless network adapter. Very good pc,i think it can run CS:GO at High Settings 60fps max and average 40fps. No, I have the same components in my pc and while playing csgo i get minimum 190, and maximum 250 fps, this build can handel any big title games with ease. I've been toying around with PC builds here and using RAM UserBenchmarks and Bottleneck calculator. According to the latter site, this CPU/GPU combo would produce an average bottleneck percentage of 31.48%. Isn't that pretty high? Using a better GPU (GeForce GTX 1070) would work, but it adds $135.00 to your build. Lowering your CPU down to an AMD Ryzen 5 2400G effectively eliminates your average bottleneck percentage (.001), but you lose two cores. I don't overclock, but would love to wrap my brain around the idea. Could you overclock your GPU in your build to compensate? Those bottleneck sites are absolute cr*p. The r5 2600 and the rx 580 make a great fit. Direct quote from bottleneck calculator: "This result is based on average CPU and GPU usage from different programs and games. It changes based on operating system, background processes activity and targeted applications. This result is not universal and changes based on differences in hardware and software enviroments. Please do not use this calculator primary as decision maker than as helping tool to understand performance correlations between different components." When using the parametric filter how would this card scale on 3 27” monitors and what type of adapter would I need to make that happen. This is my first build so apologies if this question is foolish, was wondering if this build includes a fan cooler? Yes it does include the stock cooler. Is a 580 8gb better than a 1060 3gb? And what frames do you think id get on low setting on fortnite? I am new to building and want to build my first pc, is this good for me? Well depends what you are playing and what your budget is. This will be my first pc build so I was wondering if someone could explain what is the difference between a 2.0 and 3.0 usb port. Also how many/what type of usb ports does this pc have? The easiest way is to use the Microsoft utility "Create installation media for Windows." It can be found on the Microsoft Support website. This allows you to install windows from a USB Storage device (such as USB Flash Drive.) You will need a computer running Windows to run the utility and set up your USB Device. Once that is complete you will just need to boot to your USB device and Windows will begin installing. Please keep in mind you will need to buy a license key for Windows and that is not included in the build price above. Ok, thanks! I had somebody telling me not to have a HDD and a SSD because you can get errors I will take this advice for my build. Yeah.. You'll be completely fine. I mean they are both Storage devices.. Just the technology behind it is different. It would be stupid if they wouldn't work in a system together. For example if you have a server running UNRAID you usually use HDD for the mass storage and also have a couple of SSDs as cache drives to compensate for the lower write speeds. All they way up to server grade they combine SSDs and HDDs in a system to get the huge storage potential of HDDs and the speed of SSDs. You will need to add a wireless network card or wireless adapter to use this build with Wi-Fi. How is the fan speed noise on this stock processor? If it's bad, is there one anyone would recommend? I'm looking for a quiet tower (no water cooling). Not interested in overclocking. It is very quite i have the same processor and i can barely hear it, when on. why the Intel RAM with a ryzen tho ?? There's no such thing as Intel or Ryzen RAM. That is purely marketing. Hey Kinglouis123, The Ryzen 5 2600 includes a stock cooler, the Wraith Stealth. This will be plenty if you don't plan on overclocking or want to do some light overclocking of the CPU. Also, most if not all the motherboards in the parametric filter include on board audio. You should have no problem. The Micro ATX & ATX have the same mounting locations with the only diffidence being the micro has less mounting holes because it is a smaller board. The CPU comes with the Wraith Stealth cooler, so no aftermarket cooler is required for your use case. if I didn't want it to be micro, would I just have to replace the motherboard and case? Yes you will want to change the motherboard to an equivalent ATX version instead of micro ATX. Make sure to get an ATX case as well. Hi, I'm new here and was planning to put this build together. Is there any upgrades/ different parts anyone would suggest during the boxing day sales for improved performance while keeping the price around the same? It really depends on what your use case is and what deals you can find. The processor and graphics card (in an ideal world both) are what I would look upgrading. If you could upgrade the graphics card for a similar price, my preference would be to start there. Thanks for the reply, I really appreciate it. I was thinking about upgrading the graphics card to the EVGA GeForce GTX 1070 SC Gaming ACX 3.0 8GB Video Card or the MSI Radeon RX Vega 56 Air Boost 8G OC Gaming Graphics Card but I'm unsure if the change is worth the extra price tag. I'm willing to put around $600 Aus into the graphic card if need be. Hey Ollie! Upgrading the graphics card to either of the two you mentioned above will reduce any GPU bottlenecks that could occur and put the GPU on par with the CPU. That is not to say that upgrading is necessary. The RX 580 will do fine in the the games you mentioned and many more. Upgrading the GPU will just give you higher performance especially in newer, more demanding titles. My suggestion: If you have the extra money, it would be a good addition to the build overall. If you are stretching your budget leave the RX 580 and you can upgrade further down the road. I know this isn't a precise "one or the other" answer but hopefully it helps a bit. Would this be able to run assassins creed Odyssey and other good looking games like that in high settings? Will this be able to run video editing software and game design programs im looking to attempt my first build not sure what im even looking for or at. I went after trying my own build. but I'm having compatibility issues because newb where can i post it to get help? The forums on here and r/buildapc on reddit. What issues are you having? Doesn't the ryzen 5 2600 bottleneck the crap out of the Rx 580? https://imgur.com/a/FN2oChQ Maybe these results aren't correct? the image is the other way round and no. THe r5 2600 is perfect for the rx 580. What site did you get that info from? Because they are interpreting bottlenecking wrong..
"This result is based on average CPU and GPU usage from different programs and games. It changes based on operating system, background processes activity and targeted applications. This result is not universal and changes based on differences in hardware and software enviroments. Please do not use this calculator primary as decision maker than as helping tool to understand performance correlations between different components." What about the CPU Cooler? I notice this build doesn't have one. The CPU comes with it's own CPU cooler, don't worry. I'm looking at this for my first build. Would this be good to run games like Overwatch, Fortnite, and Rainbow 6 Siege at a good frame rate? Another question: are there any good videos of people doing a build in this case, or at least with a mini? If so, please let me know who it's by. This would run those game really smoothly at ultra settings 60+fps at 1080p. How is it that these are literally almost the same parts i have for my pc that ive been had, and now its becoming relevant. I got the same CPU, GPU, Case, Motherboard and HDD. How would it handle streaming? It would handle it quite well since the r5 is a six core. Yes, I have a very similar build. Very satisfied with gaming capabilities. Can I use a Western Digital - Blue 1 TB M.2-2280 Solid State Drive instead of the hard drive and ssd combo? the current motherboard listed on the build does support M.2 so you should be fine with these if you want to swap. pc newcomer here who is very interested in this build. Where can i save up some money? I dont think i need that much storage, but i want ssd and hdd, any alternatives?! You can always save money on this build. What are you looking to get the pc for? The CPU has a cooler provided in the packaging. Hey I wonder would it be worth it to install a smaller NVME ssd or keep the larger normal ssd? You can get an NVMe drive if you need more space in the case, otherwise it doesn't make sense to get one. Anyone knows a good CPU cooler that can go with this setup? Hey guys, I'm brand new- looking to build my first pc. Would this build run overwatch pretty well? I'm in the very early stages of learning java and smashed my laptop and figure I should get familiar with the hardware anyway. I assume this build will have no issues but if I'm wrong please let me know? This is the first PC I've ever built, I followed a BitWit building guide (+my manual), everything looks to be in the right place but when I turn on the computer the lights go on, the fans are spinning but my monitor isn't turning on and showing me the bios. I'm having a motherboard speaker shipped to me to see if that will help, but besides that is there any trouble-shooting guide for this? Thanks. Test monitor with alternate source. Strip mobo down to bare minimum, remove everything (including hdd/ssd, bd/dvd, all RAM; some systems need RAM to POST but you should get some output without it). Try it, does it POST? Check power connections, check settings on power supply, check jumpers. Try again. If not the suspect mobo might be bad; get someone else to check it over for you - ask nicely at a local PC fixing place! Hey I'm new to PC building and wanted to know if this could support 4K gaming.? If not what would y'all recommend? 4K is still quite demanding, you'll really need to break the £1k barrier (and some) for 4K at the desirable 60 frames per second mark. Anyone running this with Kubuntu/Ubuntu? Would you keep OS only on the SSD and have game files and media on the spinning-rust drive?